BEAUTIFUL single-family home in sought after Tuscany neighborhood. Cherry Creek Schools! 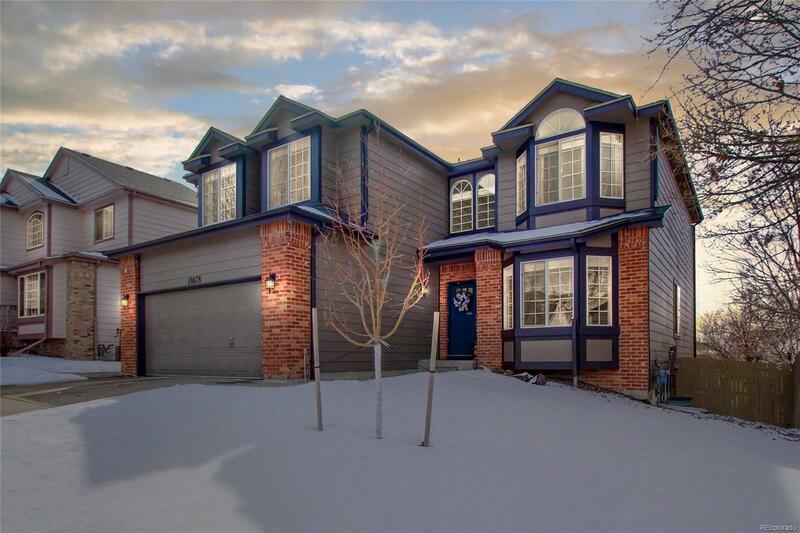 Stunning 2-story, 5 bedroom/4 bathroom, and fully renovated less than 2 years ago. Main level has natural light, a private office/bedroom and a spacious living room with custom fireplace. Large eat-in kitchen features quartz counters, stainless steel appliances w/ double oven, and new soft close cabinets. Upper level has 4 bedrooms, including Master, which features a custom barn door, bay windows, a 5 pc bathroom with built in vanity seating, and a big walk-in closet. FINISHED walk out basement features additional large living spaces to make your own w/ a built in wet bar and a brand new steam shower large enough to fit 4. Big deck w/ an automatic awning is perfect for entertaining all your guests. Wonât last long! Additional features: lots of finished storage, finished garage, new roof w/ warranty, new flooring, paint, water heater, whole house humidifier, landscaping, and more!